Check out my preview video above, then check out the full review when it goes love on 5/21/14 for Racquet Review Wednesday. The Tour Pro is for players seeking control, while the Tour ESP is for those seeking more spin. Do they succeed in those goals? The short answer is yes. I’ve never owned a Prince racquet, but that might change after three straight wins in tough doubles play during my test hit. 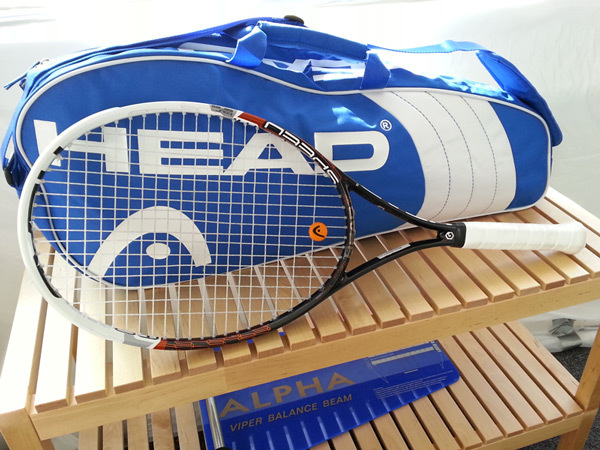 Check out the full review for each racquet on my SF Tennis Freak website. This is the first of a three-part series that will focus on things you can do to help your game during the off-season. It was inspired after I asked Marla about suggestions for off-season training. Her response surprised me, and led to this three-part series (Take Stock/Take Time Off, Off-Season Training, and Equipment Changes). Question: Do you have any suggestions for my readers about what to do in the off-season? Answer: Before you do anything, take time to evaluate your past season! Think good and hard about how your season went (good and bad), and then pick two or three things that you want to work on. Maybe take some tune-up lessons with a tennis pro, view instructional videos on YouTube, or simply work on drills with friends. The important thing to remember is that this is NOT the time to compete. If you need to take time away from the game to help your body recover from the season, this is the perfect time to do it. 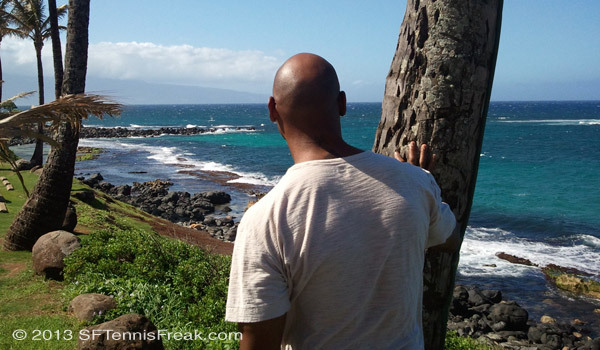 Sometimes in tennis, we hit peaks where our game levels off and we become stagnant. Those are the times that it’s good to get away to rethink your game, let your body recover, and then re-start once you’re mentally and physically refreshed. Got a tennis question? Send it via email or tweet for “Ask Marla”, a (hopefully) weekly (or biweekly) question-and-answer with Marla Reid of San Francisco’s City Racquet Shop. Marla Reid is a respected tennis pro/coach in the San Francisco Bay Area. She’s coached nationally-ranked teams and players, and has over 15 years of experience at the NCAA Division I, II, and III levels. Marla owns and operates City Racquet Shop in San Francisco CA. City Racquet Shop offers, superior products/services, outstanding customer service, and a community-oriented destination for tennis players to shop, hang out and talk about tennis. This week’s question comes via my YouTube channel in response to the video reviews of the Head Speed Pro and Head Speed MP. I’m glad that my thoughts on these two racquets was useful for others, but found myself “out of my element” with these follow-up questions in the Comments section. Question: I used to play with a Yonex Rdis 100 mid plus, and don’t know exactly if the spin potential is the same. Please Help! Question: I like to swing out at balls. 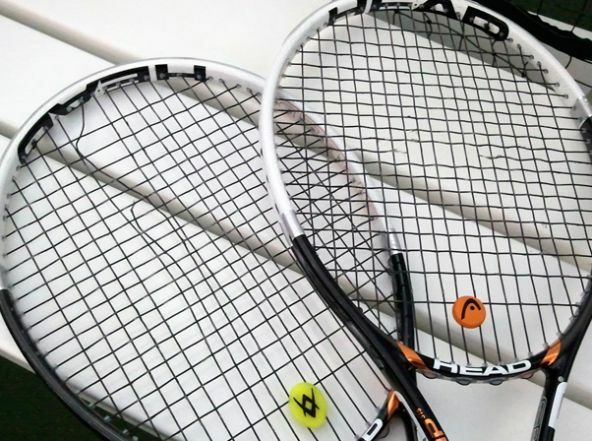 I currently use a Head Radical Tour (98 square inch) which is a good racket due to control. Is the Speed Pro going to be hard to control by comparison? I don’t want to feel restricted because I might hit the back fence. I headed over to City Racquet Shop to get Marla’s thoughts on how best to compare the Speed Pro to other racquets. 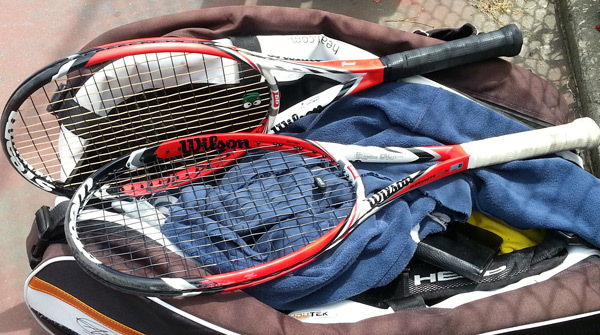 Answer: It’s hard to compare newer racquets to older models. The racquet specs will give you a general guide on the most obvious performance aspects, but can’t replace taking the racquet out for a demo hit. With respect to spin, string pattern makes a difference. An open string pattern (16×19) generally allows for more spin than a closed one (18×20). So if you want more spin, go with the open pattern. With respect to power (versus control), “power” and “flex” ratings are only a guide. You have to get a racquet that works with your natural stroke production, and allows you to keep the ball in play for more than one shot. 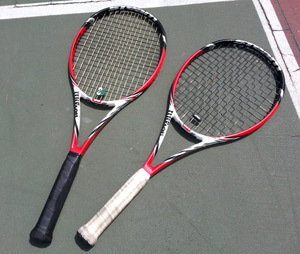 (SFTF Note: Marla’s last suggestion of getting racquet that works with your natural stroke production is key. For example, I’ve demo’d both the Speed Pro and Speed MP. Though the Speed MP is the racquet that’s more suitable for spin based on its’ open string pattern, I found it hard to control because my natural stroke generates all the spin I need. I don’t need more. The Speed Pro “tames” my spin and gives me a ton of control. Got a tennis question, but no one to ask? 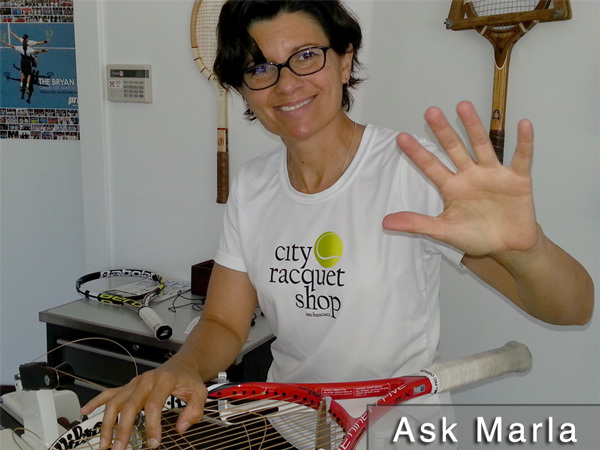 Send it via email or tweet for “Ask Marla”, a (hopefully) weekly (or biweekly) question-and-answer with Marla Reid of San Francisco’s City Racquet Shop. 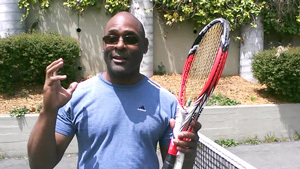 Marla Reid is a respected tennis pro/coach in the San Francisco Bay Area. She’s coached nationally-ranked teams and players at Occidental College, Cal Poly San Luis Obispo, University of Kansas, and Florida Tech, and has over 15 years of experience at the NCAA Division I, II, and III levels. Marla has an M.A. in Exercise Physiology, and is a seasoned racquet stringer. This week’s question deals with strings, and what you can do if your string job isn’t quite working out the way you hoped it would. Question: The poundage on my new stringing feels too tight. Is there a way that I can get my strings to loosen besides just hitting with them and suffering through the initial “ick” feeling? Answer: There isn’t a lot you can do to immediately loosen the tension on your strings. It’s not recommended, but you can try standing on your racquet’s string bed after laying it on a flat surface. Don’t bounce on it, just apply a few seconds of steady pressure with your foot! Many frames can withstand that pressure, and it might solve your problem. Unfortunately, the best answer is to hit with it and let the strings relax. If you’re very unhappy and the tension really becomes an issue with your game, work with your stringer to see what arrangements can be made for a restringing. 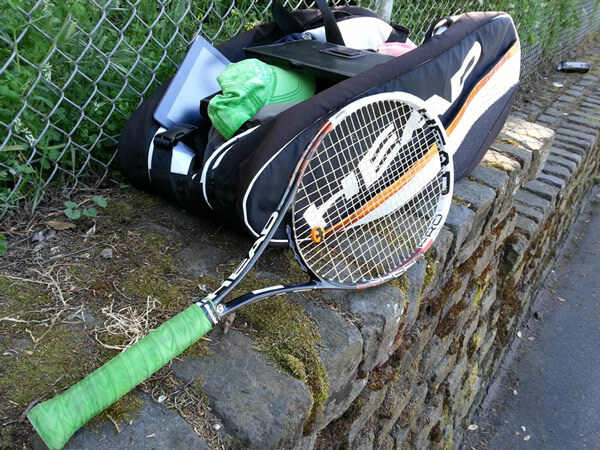 (SFTF Note: String modifications, or string mods as many call them, aren’t talked about a lot in tennis. However, more people than you’d ever suspect have tried various tricks to make an unhappy string job become a little more playable before “throwing in the towel” with a restringing. Unfortunately, the sad fact for most string mods is that they only offer temporary relief at best, and severely decrease string life.